Apple's cheapest Mac deserves a little love from Cupertino. The Mac Pro got plenty of love from Apple this week—and about time—but the other supporting player in Apple’s desktop lineup got only a brief nod from the company’s executives. “The Mac mini remains a product in our lineup. Nothing more to say about it today,” Phil Schiller told reporters, according to John Gruber. The Mac mini has never been a hot topic with the folks in Cupertino. Now in its twelfth year, the little Mac that could has been infrequently updated and often underestimated. But while it may not get the limelight as often as its siblings, I think that the mini has earned its spot as the unsung hero of the Mac lineup. Before Steve Jobs’s return, Apple sold plenty of headless desktop Macs, so many that its naming scheme reached convoluted levels of confusion. But when the Mac mini debuted in 2005, Apple was still mostly sticking to a two-by-two product grid: pro and consumer versions of desktops and portables. Even though the mini was more expensive than low-margin PCs from Dell and HP, it helped Apple acquire PC switchers who could bring their own display, keyboard, and mouse. And what could have just been a cut-rate, cheap Mac ended up becoming beloved. It’s certainly the most versatile. The mini is equally at home on a desktop, beneath a TV, and in a server room. People have even modded them to fit in car dashboards and classic radios. None of that was Apple’s intention. It wasn’t until the Mac mini unibody redesign in mid–2010 that Apple embraced the mini’s role as a home theater PC by making it the first Mac to boast an HDMI port. In recent years, the mini’s space in the living room has been preempted by set-top boxes like the Roku and Apple TV. But the Mac mini is still going strong in other arenas: Macminicolo has a data center full of Mac minis. Given the comments made by Apple this week, I don’t think its best days are behind it quite yet. If we take Schiller’s comment as the Mac mini sticking around, what might a new model look like? The most recent update was in late 2014, when it received some slight bumps to memory and processor speed. In terms of the mini’s future, we might look toward the same set-top box that has displaced it in many living rooms. PC vendors have been experimenting with making extremely small computers in the form factor of a large thumb drive. 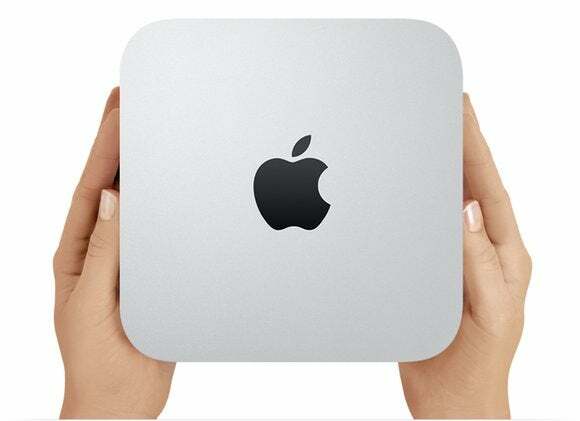 I don’t think we’ll see a Mac mini quite that small, but perhaps between the size of the current mini and the Apple TV. A new model would need Thunderbolt 3 and USB-C ports, plus upgraded processors, graphics, and memory. It also needs solid-state memory across the board. I installed a homebrewed Fusion Drive in a mini last year, and it makes quite a difference in performance. The Mac mini’s quiet operation, built-in power brick, and relatively low price tag have made it an attractive proposition that fills roles that the iMac and Mac Pro can’t. The Mac mini may never match the sales of the iMac, much less Apple’s portable Macs, but in the same way that Apple has realized that the Mac Pro needs to live up to customers’ idea of what “professional” means, I hope that the company realizes that the reason users have come to love the mini is its versatility.